During the past decade or so we have witnessed a drastic re-alignment of mission strategy both in the Western world and in the so called Third World. This is due to a number of reasons, but in the main, it is because of the waning presence of Western missionaries in Third World countries. At the same time we are witnessing the rapid rise of the number of missionaries and missions from Third World countries. Many western missions have folded up tents and left the fields because they have lost their cutting edge in missions. Missiologists refer to this phenomenon as the sunset of Western missions and the sunrise of Third World missions. In mission history it was convenient to refer to the church and missions in the West as the “mission force” while the Third World countries were referred to as the “mission fields.” However, this description, no longer depicts an accurate picture of missions today. The sending base of missions today is no longer just from the West; it is from all over the globe. Missions is from all directions to all directions. The home base of missions is all over the world. This is indeed the working of the Holy Spirit. 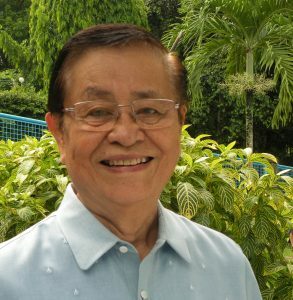 AEF International (AEFI), a mission founded in 1960 by the late great Asian evangelist and visionary leader, Dr. G.D. James, remains at the cutting edge of missions in Asia. Let me share a number of reasons for this reality. First, the vision and mission of AEFI is timeless. This is best expressed by its slogan, “training Asians to reach Asia.” The wealth of Asia is in its diverse people — people who need the Lord. If these people – the present and future generations – have to be reached with the Gospel we need to mobilize Asian Christians to obey the Great Commission. This does not mean we exclude missionaries and evangelists from non-Asian countries, but AEFI’s unique call is to focus on empowering, equipping and placing Asian missionaries to reach their own people groups and tribes. Today, AEFI has 200 missionaries, evangelists and church planters who are sharing the Good News in 11 countries in Asia. 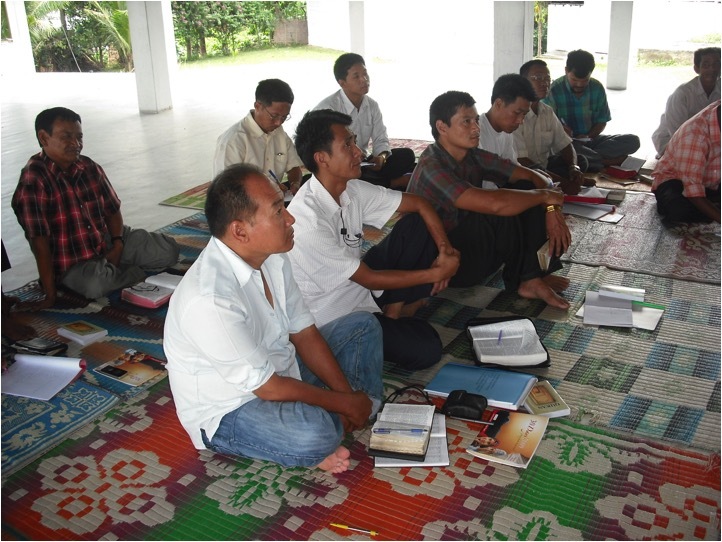 AEFI is involved in pioneer evangelism and church planting as well as in specialized ministries involving literature, radio, schools, orphanages and medical ministries. The second reason why AEFI remains in the cutting edge of missions is because of its unique team. We might also call this partnership, but it’s more than just an ordinary partnership, it’s one with trust and confidence imprinted in the hearts of its leadership and field personnel. The structure of AEFI is also unique. We have the donor base and the mission fields. The donor base which is also the primary support base includes the countries of Australia, New Zealand, Canada, and USA. Incidentally its principal office and headquarters is currently in Perth, Australia. These support base countries together with the national Asian missionaries and the national AEF organisations form the partnership team. The responsibility of running the day to day business of AEFI is under the International Director, who is currently Dr Jonathan James, the son of its founder. He is advised and assisted by the Chairman of the Board of Directors, and the President of AEFI. In addition we have advisory board members, regional co- coordinators and local committees to oversee the work of their respective regions. The third reason is AEFI’s thrust in missions, which is mandated by the risen Lord in His Great Commission (Matt. 28:19-20). He commanded His disciples to “make disciples among the nations.” The thrust is to make disciples. A disciple is one who decides to follow Christ, one who learns all he can about Christ and one who serves Christ as his/her Lord. AEFI’s business is to make disciples of Asian nationals who will also make disciples of their own peoples; people in Asia today and the succeeding generations of Asian people. 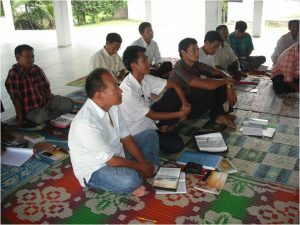 Evangelism and disciple-making that lead to church planting is the main thrust of AEFI. This ministry will continue until the return of Christ. With God’s help we will not grow weary in carrying out the Lord’s mission. Finally, AEFI remains in the cutting edge of missions in Asia because of its trust in the Lord of the harvest to provide for His work and to guide in its day to day ministries. We concur with the statement of the great missionary to China, Hudson Taylor who said: “God’s work done in God’s way will never lack God’s resources” and the words of the Apostle Paul: “But my God shall supply all your needs according to His riches in heaven” (Phil. 4:19). We also believe that the Lord owns all the wealth in this world and mission money regardless of where it comes from. It is the Lord’s and it must be used to support His ministries around the world. This is why prayer is the distinctive of AEFI. We not only believe in prayer, we also practice it individually and corporately. Prayer represents our hands and arms extended towards heaven, symbolizing our trust in God and our act of receiving what we ask for. We have prayer partners in many parts of the world who consistently knock at heaven’s door for the needs of AEFI and its ministries in Asia. You too could become a significant part of this great movement in mission’s history.